Three teachers from Florida will travel to Maine to compete for the National Excellence in Teaching about Agriculture Award for 2018. 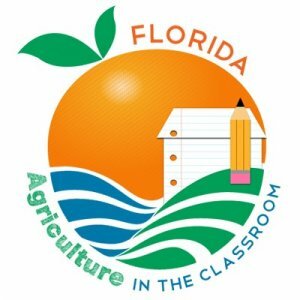 A third-grade teacher from Lake County, a high school teacher who teaches horticulture, diversified career technology, animal science and agriculture from Bradford County and a middle school agriscience teacher from Volusia County have won Florida Agriculture in the Classroom’s (FAITC) Excellence in Teaching about Agriculture Award for 2018. FAITC selected the candidates because of their exemplary use of agriculture in their instruction. “We are excited that our Florida teachers will be recognized at the National Agriculture in the Classroom conference. Our grants committee selected these educators because they are passionate about Florida agriculture and share that passion with their students,” said Carol Roe, chairman of the FAITC board of directors and a representative of Wm. G. Roe & Sons, Inc.
Jacqueline Holmes of Lake County uses the school garden to teach her students various subjects. The class has eight tower gardens which they use to grow produce for the salad bar in the cafeteria. Holmes’ garden was such a success last year; Lake County Schools received a grant to start gardens at 30 other schools. Holmes joins two other teacher award winners from Florida: middle school agriscience winner Amanda Ellis of Silver Sands Middle School in DeLand in Volusia County and high school winner Kaitlin Van Heusen of Bradford Union Technical Center in Starke in Bradford County. All three winners will be recognized at the 2018 National Agriculture in the Classroom Conference ‘Agriculture for ME on Land and Sea’ June 26-29, 2018 in Portland, Maine. Amanda Ellis teaches her students the basics of agriculture and its importance in our world. She discusses things like nutritional needs for students and talks about the availability of food and why food in America is safe and cheap in comparison with other countries. Kaitlin Van Heusen teaches numerous subject areas that allow her to teach her students about plants, animals, careers, healthy lifestyles and more. Her students leave her class with a better understanding about how agriculture functions and the role it plays in society. Kaitlin feels that agriculture literacy is something every student needs. FAITC funds programs like the Florida Excellence in Teaching about Agriculture Awards from sales of the s of the agriculture specialty license plate known as the Ag Tag. Its mission is to increase agricultural literacy through K-12 education and does so by providing curriculum, workshops, farm tours, award programs, grants and the elementary reading program, Florida Agriculture Literacy Day.